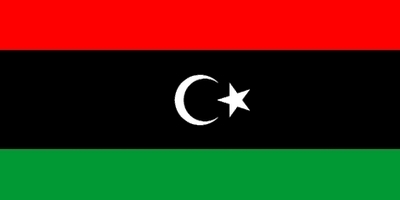 In a remarkable development, the people of Libya on Sunday voted against the seemingly-irresistible advance of the Muslim Brotherhood (MB) in the "Arab Spring" countries of North Africa. Until Libyan ballots began coming in, Western media seemed assured that the MB would repeat, in that country, its successes elsewhere over the past year. In Tunisia last October, the Ennahda or Rebirth party won 37 percent at the polls. In Morocco's November contest, the MB's Justice and Development party gained enough strength to form a government under its leadership. Since then, however, Morocco has remained largely tranquil. The Egyptian triumph of the MB's Freedom and Justice party (FJP), which took 37.5 percent in the November 2011-January 2012 parliamentary competition, was followed by the election of the party's Mohamed Morsi as Egypt's president. Morsi's victory appeared to confirm the role of the MB as the main successor to dictatorships in the Arab lands. A high tally for Jibril in Benghazi would be especially significant as that eastern Libyan metropolis has been a center of regional and spiritual Sufi discontent. The great nephew of Libya's King Idris I (1889-1983), Ahmed Al-Senussi, born in 1933, and imprisoned and tortured by Qaddafi, leads a dissident Cyrenaica Transitional Council in Benghazi. The Libyan MB's Justice and Construction party, and the Al-Watan (Nation) party, a Wahhabi grouping led by former al Qaeda figure Abdelhakim Belhadj, are reported far behind throughout the country. With MB-ruled Tunisia and Egypt to its west and east, Libya may have seen their examples—with Wahhabi riots in Tunisia against modern art, leaving thousands injured and one dead, in June, and deep political divisions in Egypt—as incentives to repudiate the MB. But other factors may be detected in Libya's swerve away from Islamist politics. First, the successful NATO air action to assist rebels in defeating Qaddafi may have moderated the anti-Western resentment that fuels the MB in Egypt. Further, a people that have won their freedom under arms may be more reluctant to take dictation from new ideological usurpers. Libyans may also have grown sick of the late dictator's anti-Western criminal antics, which included the bombing of Pan American Airways flight 103 in 1988, and the resulting status of their country as global pariahs. Libya has a history of resisting radical Islam since the rise of Saudi Wahhabism in the 18th century, rooted in the defense of Sufi metaphysics. King Idris, who ruled from independence in 1951 to his overthrow by Qaddafi in 1969, was the head of the Senussi Sufi order. Idris had governed Cyrenaica but gained royal authority as grandson of the Sufi mystic Sayyid Muhammad Ibn Ali As-Senussi (1787-1859). Many Libyans remember the tradition of their "Sufi king" with affection. King Idris created a pro-Western state, erected modern universities in Tripoli and Benghazi, and established a Senussi religious university, which Qaddafi shut down in 1984 in an effort to extirpate the memory of the Senussis. Sayyid Muhammad Ibn Ali As-Senussi, grandfather of King Idris, formed the Senussi Sufi order as a branch of the Idrisi Sufis, founded by the Moroccan Ahmad Ibn Idris (1760-1837), one of the most important figures in latter-day Islamic thought. Ahmad Ibn Idris was notable both in his reforming concepts—he called for abandonment of the traditional sharia schools of Islamic law—and for his active opposition to Wahhabism. Ahmad Ibn Idris went to Mecca to challenge the Wahhabis, who forced him to flee to Yemen, though he survived. 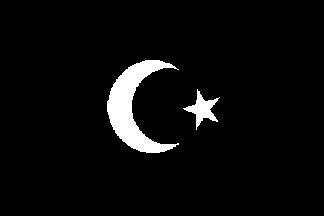 The flag of King Idris, which was adopted by the anti-Qaddafi Libyan rebels and has been restored as Libya's national banner, includes a central black stripe with a white crescent and star, representing the Senussi Sufis, and the Idrisi legacy. As for Islamic fundamentalism in Libya today, the presence of Abdelhakim Belhadj, past head of the al Qaeda-affiliated Libyan Islamic Fighting Group, as a leader of the Libyan anti-Qaddafi combatants, justifiably provoked concern among foreign commentators. But given the low number of Libyans favoring Belhadj's Al-Watan party, those concerns may have been overblown. In fact, the historical and religious antecedents of the anti-Qaddafi campaign could not be more distant from the radicalism of al Qaeda. The authoritative scholars of Islam Frederick de Jong and Berndt Radtke, editors of the massive 1999 volume Islamic Mysticism Contested, on Sufism and its opponents in Islam, wrote that the Senussi Sufis who ruled over eastern Libya did not persecute "those who were not in agreement with Sufism as adhered to and practiced by those in power." According to Libya: A Country Study, published by the U.S. Government in 1987, as the founder of the Senussi order, Sayyid Muhammad Ibn Ali As-Senussi "did not tolerate fanaticism." In addition, Libya's recent history has been unlike that of Morocco, Tunisia, and Egypt in that it was ruled by a deranged form of Islamist ideology. Crafted by Qaddafi and embodied in his World Islamic Call Society (Jamiat al Da'wa al Islamiya) it was expressed in his 1975 Green Book, which offered a theory of Islamic socialism, and intended as compulsory reading for all Libyans. The outcomes in Tunisia and Egypt may have reflected the absence of political experience with radical Islam in power, and a belief on the part of the populace that the Islamists were "clean" when compared with the corrupt minions of Zine El Abedine Ben Ali in Tunis and Hosni Mubarak in Cairo. In Tripoli, however, things were different. Qaddafi's corruption was presented under an Islamic guise. It seems unlikely that reform-minded citizens who have endured Islamist rule in countries like Libya, Iran and Saudi Arabia will rebel against strict Islamist governance in favor of a more repressive form of the same perverse precepts. That may be the most important result of the Libyan election. The New York Times on July 8 quoted a Libyan who said of the MB Justice and Construction party, "Do they think they are more Muslim than we are?" That simple question reveals the deepest flaw in Islamist ideology. Classical Islamic faith is based on belief and intentions, not on the external practices mandated by radical Islamists, including weird beards and garments, face veils and full body covering for women, loud and obstreperous agitation, and gratuitous denunciations of "unbelievers" or secularism. Such bombast was considered by conventional Muslims as inappropriate if not hypocrisy—the ultimate sin in Islam—and was countered by Sufi humility. That is a lesson the Libyans seem not to have forgotten.